Need Income Tax Help or Tax Assistance? Want to see your Mira Mesa Income Tax Preparer in San Diego California? Contact Didi's 1040 & More at (858) 549-3434 Mira Mesa Income Tax Services in San Diego California Mira Mesa Income Tax Enrolled Agent in San Diego California. Income Tax Professional Provides Quality Income Tax Service in San Diego County. More than 22 years of experience in Tax Preparation in San Diego California. Contact California San Diego Income Tax Return Preparation Specialists. Need Medicare Supplement Insurance, Medicare Advantage & Prescription Drug Plans? California San Diego Residents Ages 65 and Older. Know the Rates - Medicare Advantage, Prescription Drug Plans and Medicare Supplement Insurance (If you are aged 65 and over and spend large sums on out of pocket medical expenses you can really benefit from one of these policies as well as enjoying substantial savings). Contact California San Diego Medicare Sales Agent Sales Representative. Who needs Life Insurance or Accidental Death & Dismemberment Insurance? 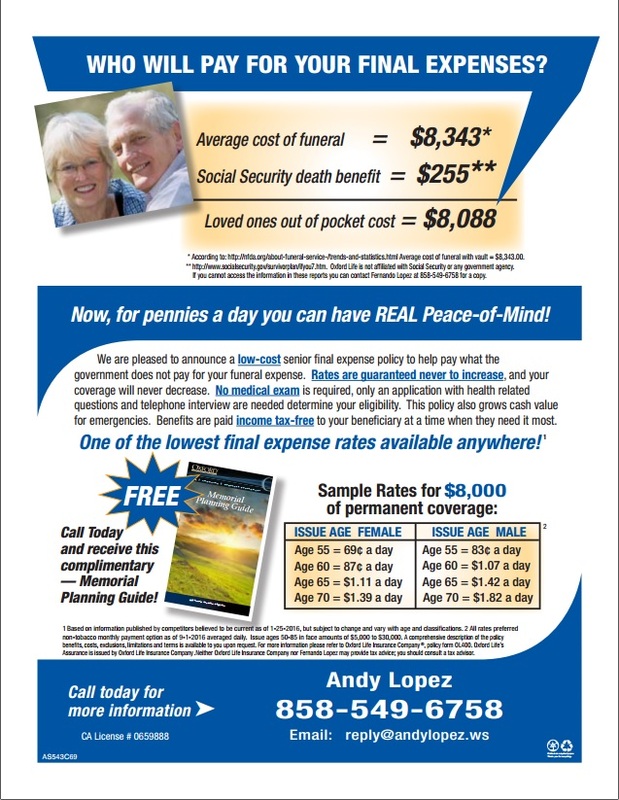 California San Diego County Residents: Know the rates, request a quote for an affordable California Life Insurance (10 to 30 Year Guaranteed Term Plan or Final Expense Whole Life Plan) or California Accidental Death & Dismemberment Insurance. California San Diego Insurance Agent since 1984. 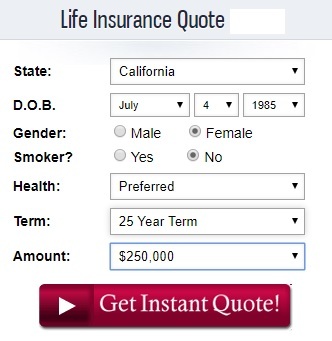 Contact California San Diego Life Insurance Agent. Travelers Don't Forget Your Domestic USA or International Travel Insurance Plan. Domestic USA or International Travel Insurance Plans Worlwide Coveraege: Comprehensive range of International Medical Insurance and Travel Insurance Products for every insurance need, products includes servicing vacationers, those working or living abroad for short or extended periods, people traveling frequently between countries, and those who maintain multiple countries of residence. Travelers Get FREE Travel Insurance Quotes online Worldwide International Travel Insurance Plans Global Coverage. Save on Quality Dental Care. Individual and Family Coverage: Discount Dental Plans - an Affordable Alternative to Dental Insurance, Save now on most dental procedures, including checkups, cleanings, braces, and cosmetic dentistry on select plans. Students and Parents Get FREE Dental Plan Quotes Online Nationwide Dental Savings Plan Nationwide Coverage. See California San Diego Homes For Sale. California San Diego County Home Owners, Thinking of Buying or Selling your home in San Diego California? Short sale your condo or house in San Diego California? California San Diego Realtor California San Diego Real Estate Agent. More than 10 years of experience in Selling, Buying and Short Sale Homes, Condos, Houses, and Real Estate Properties Throughout San Diego County. Contact California San Diego Realtor San Diego Real Estate Agent. Find Andy Lopez Network On Facebook. California San Diego Mira Mesa Speak Filipino Insurance Agent Medicare Sales Agent Sales Representative www.andwhyinsurance.com Andy Lopez California San Diego Speak Filipino Life Insurance Agent, Mira Mesa, Pacific Beach, Paradise Hills, Point Loma, Palomar Mountain, Pine Valley, Poway, Potrero, Ramona, Ranchita, Rancho Bernardo, Rancho Penasquitos, Rancho San Diego, Rancho Santa Fe, Santa Luz, Solana Beach, Sabre Springs, California San Diego Mira Mesa Speak Filipino Realtor www.andwhyrealty.com Andy Lopez California San Diego Speak Filipino Real Estate Agent, San Clemente, San Diego, Serra Mesa, San Luis Rey, San Carlos, San Marcos, San Ysidro, Scripps Ranch, Santee, Spring Valley, Santa Ysabel, Talmadge, Tecate, Temecula, Torrey Highlands, Tierra Santa, University City, University Heights, Valley Center, Vista, Warner Springs, Alpine, Aviara, California San Diego Mira Mesa Speak Filipino Income Tax Preparer Didi's 1040 & More San Diego Enrolled Agent, Bonsall, Bonita, Borrego Springs, Bay Park, Boulevard, Carmel Valley, Cardiff By the Sea, City Heights, Clairemont, Campo, Carmel Mountain Ranch, College Grove, Coronado Cays, Coronado Shores, Coronado Village, Crown Point, Camp Pendleton, Carlsbad, Chula Vista, Del Cerro, Descanso, Del Mar, Dulzura, Downtown, El Cajon, Escondido, Elfin Forest, Encinitas, Encanto, East San Diego, Fallbrook, Guatay, California San Diego Mira Mesa Speak Filipino Income Tax Services www.diditax.com California San Diego Mira Mesa Speak Filipino Bookkeeper, Hillcrest, Imperial Beach, Jacumba, Jamul, Julian, Kensington, Kearny Mesa, La Costa, La Jolla, Lakeside, Lemon Grove, Leucadia, Logan Heights, Lake San Marcos, La Mesa, Linda Vista, Mission Beach, San Diego Middletown, Mission Hills, Mira Mesa, Miramar, Mount Helix, Mount Laguna, Mission Valley, Mission Village, Murrieta, National City, Normal Heights, North Park, Ocean Beach, Olivenhain, Oceanside, Old Town, Pala, Pauma Valley. International Medical Travel Insurance Global Coverage: IMG International Travel Insurance Agent. Americans, French, Spaniards, Chinese, Italians, Germans, Russians, Thais, Malaysian, Austrians, Mexicans, Greeks, Canadians, Koreans, Singaporeans, Japanese, Africans, Indonesians, Portuguese, Romanians, Vietnamese, Indians, Australians, Brazilians, Argentinians, Filipinos, Cambodians, Cubans, Samoans, Lao, Taiwanese and other Nationalities, Touring or Visiting or Traveling to United States, France, Spain, China, Italy, Germany, United Kingdom, Russia, Thailand, Malaysia, Hong Kong, Austria, Mexico, Greece, Canada, Poland, Macao, Netherlands, Korea, Singapore, Hungary, Japan, Morocco, Africa, Switzerland, Indonesia, Denmark, Ireland, Portugal, Romania, Belgium, Vietnam, India, Australia, Brazil, Argentina, Sweden, Norway, Philippines, Finland, Cambodia, Puerto Rico, Peru, Cuba, New Zealand and other Countries, Be Safe Don't Forget To Get Your Travel Insurance. Discount Dental Plan Nationwide Coverage: Nationwide Sales Agent Sales Representative Alabama, Alaska, Arizona, Arkansas, California, Colorado, Connecticut, Delaware, Georgia, Hawaii, Idaho, Illinois, Indiana, Iowa, Kansas, Kentucky, Louisiana, Maine, Maryland, Massachusetts, Michigan, Minnesota, Mississippi, Missouri, Montana, Nebraska, Nevada, New Hampshire, New Jersey, New Mexico, New York, North Carolina, North Dakota, Ohio, Oklahoma, Oregon, Pennsylvania, Rhode Island, South Carolina, South Dakota, Tennessee, Texas, Utah, Vermont, Virginia, Washington, West Virginia, Wisconsin, Wyoming. Make Money! Save Money! Enjoy Life!